What information do you need to process my return? How long will my accountant take to process my job? What happens if I fall behind in lodging my returns? What should I do if I realise I have omitted information from my return? Is there more than one person I can talk to? Should I move my accounting software to the cloud? What professional associations do you have? How can Watts Price Accountants assist me with my other business needs? Generally speaking the Australian Taxation Office (ATO) takes up to 10 days to process your refund once we have lodged your return. However we have noticed that this can take as much as 28 days at certain times of the year. The ATO will now only pay refunds via electronic payment into your nominated bank account. For those clients that wish to have our accounting fee deducted from their refund the payment from the ATO will be electronically sent to our Trust account. We will deduct our fee and arrange payment of your refund. This is a complimentary service that we offer to existing clients. That will largely depend on the type of return you need to lodge. We provide all business clients with a customised checklist each year and there is a generic checklist for salary and wage returns that is available via reception when you are ready to book your appointment. The amount of time to process a job will vary from client to client based on a number of factors. The complexity, the size, the accuracy and the timeliness in which information is provided will all have a bearing on the time it takes to complete the job. Typically from the time all the information requested is provided to us (this often differs from the date the work is dropped in) we will process a BAS job within 5 working days and a tax job will average about 15 working days. Firstly you need to be aware that the Tax Office may start charging a penalty for every 28 days that the return is outstanding. They may also charge interest called the General Interest Charge on any outstanding monies owed to them. To minimise these potential charges you need to process your returns in a timely fashion. If you do fall behind we can process several years at once. It is important to note that you should still advise the Tax Office if you are below the threshold and do not need to lodge a full tax return for a particular year. We use a pre-fill report from the ATO that greatly reduces the chance of this occurring but it does occasionally happen that you receive an extra Group Certificate or Dividend statement. In such cases the income must be processed in the return for the financial year the income relates to. In such cases an amended return will be required. In regard to taxation work we generally provide a fixed fee engagement or bill on a time cost basis. Our fixed fee engagements offer some certainty as to the level of investment required and what work will be performed. Generally we provide fixed fee engagements where we feel the job is fairly consist from year to year. This also works well for many business advisory services as the time it takes to complete a service for one business is often very similar to that of another as the number of transactions has little effect on the systems employed to produce the result. For most other compliance work we will provide a fee range in the engagement. This is generally because we feel the complexity or time required may vary considerably from the previous year or we are dealing with a job for the first time. The advantage of this is that you are only charged for the time that is taken. The hourly rate will vary depending on the complexity of the work. Generally a partner will match the complexity of the job with an appropriately skilled accountant. The accountant’s rate will vary based on their skill level. The accountant will perform say 70-80% of the job with the remaining percentage comprising of the administration time to lodge, bind and send out the financial statements and the partner’s time to review the job prior to completion. Fees are due within 14 days after completion of the job and can be paid by a number of convenient payment methods unless otherwise stated. If you trust the systems and integrity of your accountant then time cost billing seems the fairest and simplest method of billing when you do not know the complexity or time the job will take before starting it. Where there is a standardised service or we can accurately judge the complexity of the job we can give you the assurance of a fixed price for the job. For further explanation please contact our office. Clients have a number of payment options for their convenience. We accept EFTPOS payments in person or by phone, likewise we can process Visa & Mastercard transaction in the same way. All our invoices and statements provide our bank details for payment by direct debit plus we also use EziDebit (used for scheduling direct debit payments) and have fee funding solutions. For more details please contact our office. There are a number of key lodgement dates throughout the year depending on the type of tax return(s) you need to lodge. Individual tax returns need to be lodged by 31 October for the prior 1 July – 30 June period, however if you are registered with a tax agent the lodgement date becomes 15 May. (*Unless you are on an early lodgement list). If on quarterly obligations then it’s generally the 28th of the following month i.e. the Quarter 4 (April- June) activity statement is due 28 July. Again, if lodged via a BAS agent the deadline is approximately 4 weeks later. The due dates fall on the same day as the quarterly BAS obligations where no extension exists due to lodging via a BAS agent i.e. the 21st of the following month. Note: The dates above are provided as a guide only and may change from year to year please check the current lodgement dates via the ATO website or our office. Businesses in the building and construction industry need to report the total payments they make to each contractor for building and construction services each year. Your Taxable payments annual report is due 21 July each year. Why am I receiving an Engagement Letter? It is also a requirement as part of our CPA Australia membership which we get audited upon every few years. Do you charge for short queries either in person, by phone or email? In the majority of cases short correspondence is not charged for. However, any work or follow up of significance that might derive from that initial short correspondence may result in an engagement and subsequent fee. You will be advised of this prior to any work being commenced. Do I need a specialist accountant or other professional? At Watts Price Accountants out senior accountants and advisors offer both general taxation advice and also have areas they specialise in including: agribusiness taxation, Self Managed Superannuation Funds (SMSFs), business development, auditing, retail, medical practitioners, tradespeople, computer consulting, business valuations & start up advice, succession and estate planning, cloud technology etc. We also have professional partnerships with Financial Advisors, Finance Brokers and other professional service firms for your added convenience. Watts Price Accountants is a Wimmera based accounting firm that has been operating for more than 30 years. In that time we have grown with our clients and this has meant we have a great understanding of our clients and the needs of the local community. We offer a wide range of services and produce quality results which our clients appreciate. You can feel safe knowing you are dealing with an accounting practice that abides by the codes and conduct set out by a national body (CPA). We have more than 20 staff members working in Horsham and Rupanyup as well as servicing Dimboola and Hamilton and visiting Nhill and Ararat (at key times of the year). We encourage you to view the testimonials on this website or ask around to find out what our valued clients experience when they work with us. Also we invite you to come in for a complimentary no obligation, initial discussion so you can draw your own conclusions. Not all returns require an accountant it depends on the complexity, your knowledge and available time. 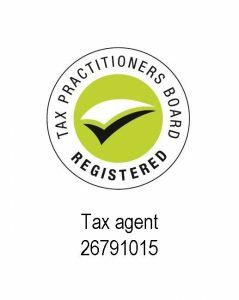 But we feel that our specialist training in taxation and business advice will ensure you comply with the Tax Office regulations and ensure you get the maximum refunds allowed. Through the ongoing training of our staff we are up-to-date with the latest Tax Office legislation. Can you say that about yourself, your book keeper or friend with the best intentions that helps with your return? Apart from ensuring you are compliant with the Taxation Office, your accountant can deal with a multitude of financial issues you either have not the training in or time to deal with. Our clients tell us they appreciate being able to concentrate on what they do best and leave the ‘number crunching and paper pushing’ to someone they can rely on. In the majority of cases yes! For your convenience each Partner is supported by a senior accountant called a client manager. They are available to assist you with any queries you may have if the Partner is unavailable. Also we have an experienced team of administration personnel that can assist with any non-technical advice or queries you may have. Most appointments occur at our Horsham office but we appreciate that this may not always be convenient. In such cases there are a number of other options such as meeting at our Rupanyup office, we hire office space in Dimboola, Ararat and Nhill at various times of the year. We are happy to visit you at your place of work or home. We can, via our collaboration software, do video calls (and provide technical support) and we also have a number of clients that just drop their work in without the need for a face to face meeting. What accounting software is best for me? Choosing the right accounting software can have a huge impact on the smooth operation of your business. Your personal circumstances will dictate what software is best suited to your circumstances. Do you have employees, stock, do you need to access your file from anywhere, how many users will need access, what hardware will you be using? These are just some of the variables to consider. To ensure you get the right advice we offer a free, no obligation consultation with one of our accounting software experts. We don’t believe in forcing our clients onto a software solution that may not be right for them hence we support a number of bookkeeping software packages including: Xero, MYOB, Reckon, Quickbooks, Banklink, Cashflow Manager, Phoenix, Sassu & Cash Manager Rural. To book your appointment either contact us by phone at 03 5382 3001 or by email at mail@wattsprice.com.au. There are a number of great addon programs that will now integrate with your accounting software such as advanced reporting, Point of Sale (POS), stock management, workflow, document management and much, much more. There are some great reasons to move to the cloud but you need to consider whether or not your internet and computer hardware are sufficient or need upgrading, the software may be slightly slower than an equivalent desktop package, if you have mutliple files you may need multiple subscriptions and the subscriptions generally require a monthly payment of anywhere between $30 and $99 depending on the features required. For more specific advice around your situation please give us a call, it’s free and could save you a great deal of time and money by avoiding the wrong solution! Being part of a professional association such as CPA means we have certain ethics and standards we must abide by. This means you can be assured we will work to the highest standards of professionalism. Because your satisfaction is paramount to us, if you do have an issue with the quality of our work then we will work to resolve this and in most cases at no additional cost to you. We realise selecting or changing an accountant is a big deal. You are looking for someone that you can work with for the long term, someone that will be your first point of contact regarding your financial affairs, so you want to get it right first time around. That’s why all potential new clients are invited to have a free initial consultation of your business needs so you can get a feel of who you will be working with. We can also assist in identifying which of our accounting team would be most compatible with your needs. To arrange your free appointment either contact us by phone at 03 5382 3001 or by email at mail@wattsprice.com.au. We have a team of experts that can assist you with getting started with a Self Managed Superannuation Fund (SMSF) and ensuring you comply with the annual requirements. Our Financial Planner partner, Paul Block, can assist you with investment advice to ensure you grow your financial wealth. If you want to know how well your farm enterprise is performing then we can assist you through our Wimmera Farm Benchmarking. We have been capturing key performance indictators for Wimmera farms for more than 20 years. We also have Xero Certified Advisors as well as staff proficient in all the major accounting software packages. This means that we can advise you as to the best accounting software solution to fit your business and personal needs. Looking to invest in property? Brian Watts is the author of the Tax & Property articles in the Wimmera Mail Times and is an avid investor himself. Brian can assist you make the right decisions to minimise the tax implications of your investment property.